High-end restaurant design will look the same in 2018 as it did in 2017—and 1965. Architectural Digest yesterday published its 2018 trend forecast for restaurant interiors and a lot of it is so, so very familiar: detailed light fixtures, midcentury modern interiors, houseplants! 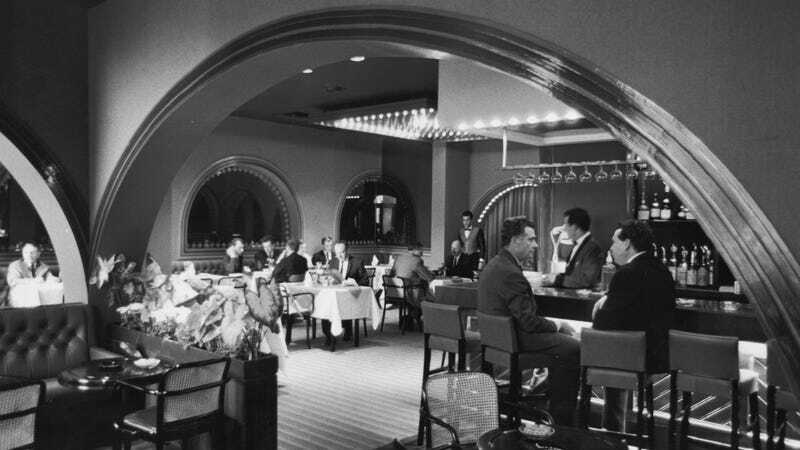 Moving “forward” in restaurant design continues to mean returning to a midcentury aesthetic, creating neutral spaces that are inoffensive and familiar. It’s perhaps an effort to insulate diners from the chaos and uncertainty of the larger world, creating a safe space where comfort and nostalgia rule. If you expected innovation, technology, and flying robot waitstaff, that’s not happening at $500-a-plate restaurants. In fact, the most innovative and forward-looking design in restaurants today is happening in the fast-food sector, where new McDonald’s look like something out of The Jetsons. When you’re spending big bucks on dinner, though, that foie gras torchon will continue to come with a side of macrame and Edison bulbs.